A barbershop is more than a place to just have a haircut, your beard trimmed, or a shave. It is a male micro-community for socializing, and to exchange views and opinions. The brief from the client was really simple, to create an animation for their logo designed by Bartek Bojarczuk. The animation will be used on websites for hair product fairs and other events. The main guiding concept of this project was to create something fast paced, retro, a touch nostalgic and in a rock"n"roll spirit. 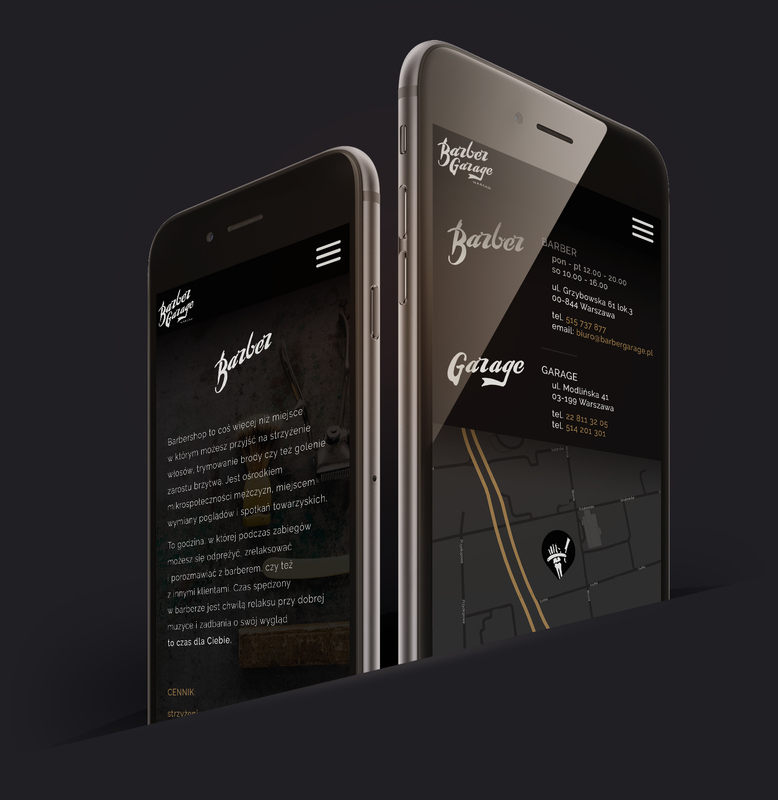 After we finished the animation, we were asked to create a simple responsive website presenting the most important aspects of the business and the interior decor of the establishment. The last project that we did for the Barber Garage was a poster, which was designed in a way that made it easily adjustable to different events. It could be use as an "opening poster", or a "new deal offer" poster, or a "we are hiring" advertisement. Please let us know what you think about the work we have done for the Barber Garage. A barbershop is more than a place to just have a haircut, your beard trimmed, or a shave. It is a male micro-community for socializing, and to exchange views and opinions. The brief from the client was really simple, to create an animation for their logo designed by Bartek Bojarczuk. of the establishment. The last project that we did for the Barber Garage was a poster, which was designed in a way that made it easily adjustable to different events. It could be use as an "opening poster", or a "new deal offer" poster, or a "we are hiring" advertisement.